It’s finally that time of year when we, in Chicago, can think about spending time outside without parkas, umbrellas, and other cumbersome accessories. When this weather finally arrives, I plot and scheme to be outside as much as possible. As a designer, it’s not always easy to work outside (despite the anti-glare screen on the trusty MacBook). However, there are a number of excuses…I mean work activities, that we can satisfactorily justify. One such task is studying and learning about the pleasant environments around us. When I visit a place, I love to walk around and soak in the local atmosphere – colors, flavors, textures, landscapes, streetlife, etc. There’s always something to learn from visiting a new place (or a place we’ve been before) if we can stop long enough to notice the details. One such way to slow down long enough to really start to understand a place is through sketching. Don’t get me wrong – I love to use photography to record inspiring scenes but there’s something about forcing yourself to stop and try to capture a place on the page, with the only tools being your eyes, your hands, and a few simple tools. 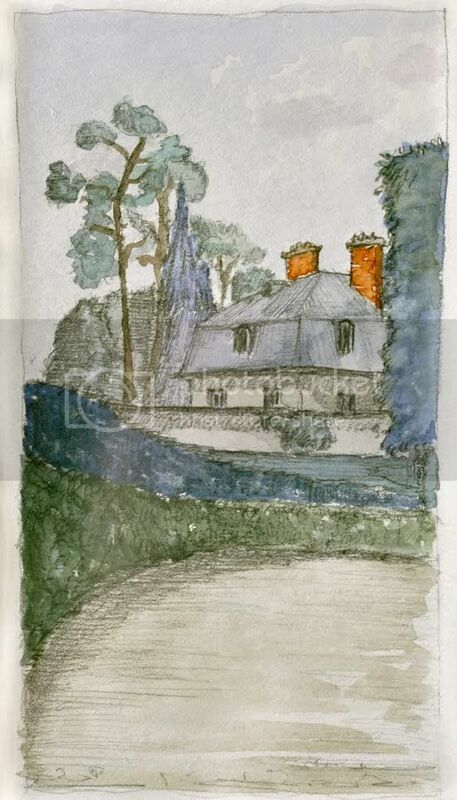 For this week’s post I’m sharing a few simple watercolor sketches. Here’s a view from Venice. 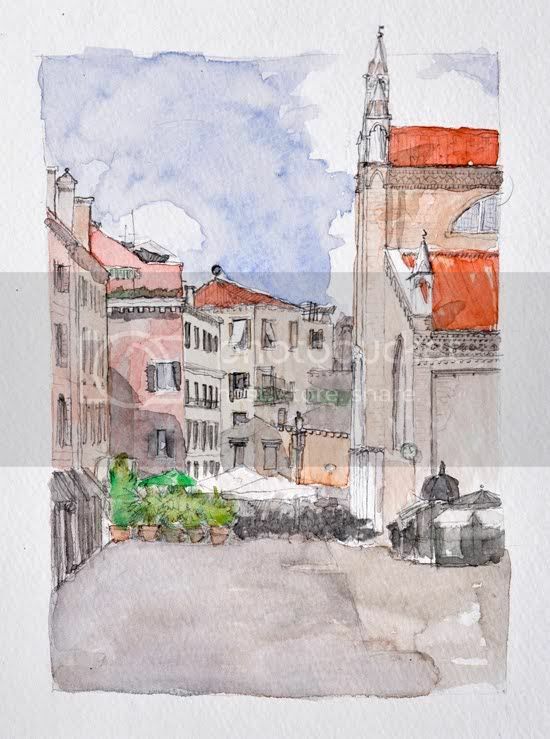 My goal with this sketch was capturing the quality of the light as it washes over the simple yet wonderful stucco and brick walls of the buildings surrounding the campo. In case you haven’t noticed…my sketches concentrate on the buildings and there are shamefully few pedestrians present! 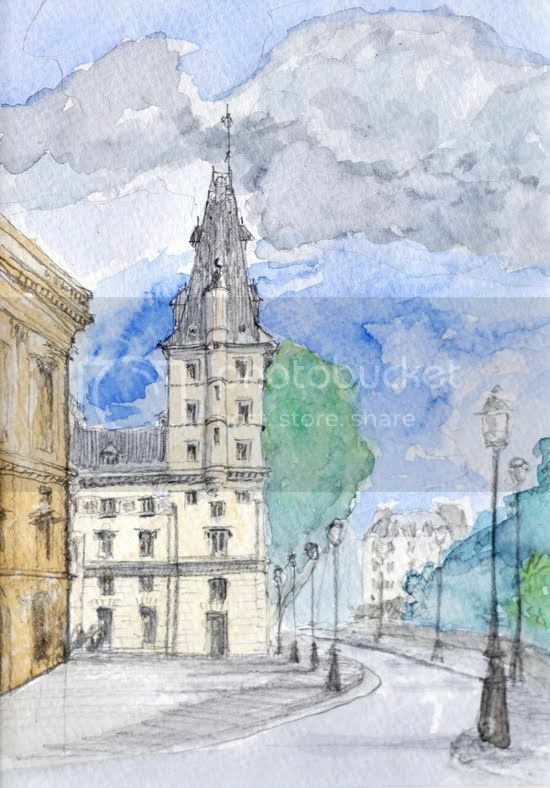 This final view is after a rainstorm in Paris – and there were no pedestrians for me to avoid in this sketch. The profile of the tower against the dramatic sky was magnificent, but so is everything in Paris. Hopefully this new-found warm weather will provide another summer of sketching opportunities. The post Designer’s field trip appeared first on Le Papier Blog.